Working in manga, we often get asked for our staff recommendations. It turns out, we are a lot like readers in general—extremely different when it comes to what we like! 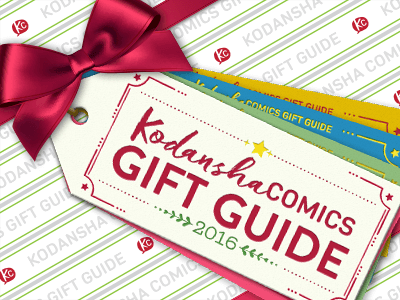 But if you’re lost and need a push in the right direction, or just want to say that your gifts are Manga Professional Approved, here are our personal favorites. With stunning artwork and a charmingly eccentric cast, Tomo Takeuchi’s Welcome to the Ballroom is one of my favorite new releases of the year. It follows the journey of Tatara Fujita as he transforms from a directionless high-schooler into a passionate competitive dancer. Takeuchi’s astonishing art conveys all the romantic sensuality and incredible physicality of ballroom dance, and it’s impossible not to cheer for his cast of quirky, sympathetic characters. This manga is a perfect example of why I love Japanese comics as a medium, and I highly recommend it. 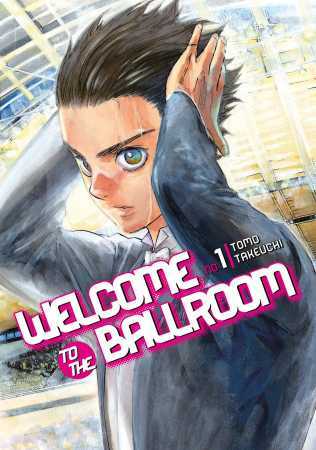 Welcome to the Ballroom volumes 1-2 available from Kodansha Comics! 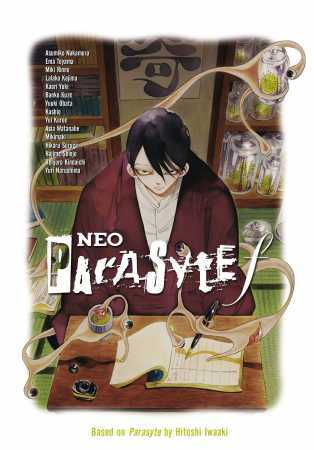 Neo Parasyte f is available now from Kodansha Comics! The Ghost and the Lady has been the most interesting book I’ve worked on. I’ve never been much of a history person, but the way this series was presented made me want to devour its contents and left me with a real interest in Florence Nightingale’s truly fascinating story. Everything about this book is amazing, from the incredible amount of research Fujita-sensei and his team must’ve conducted to create the story to the breathtaking artwork that doesn’t just look great, but is also full of emotion that really makes each scene and its characters come to life. This is also Fujita-sensei’s first manga published in English and is probably one of his best works. I’m honored to have worked on The Ghost and the Lady and can’t recommend it enough. 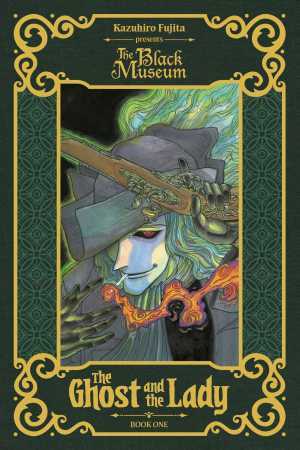 The Ghost and the Lady 1 is available as a deluxe hardcover from Kodansha Comics! This manga made me both laugh and cry while commuting on a packed train. When I was editing the latest volume at my desk, I read through the pages with tears streaming down my face. Makoto Raiku has a real gift with comedic timing and imbuing his characters with warmth. It’s so pure and genuinine, and truly shines in this manga. Animal Land is a humorous and absurd slice-of-life manga that quickly dives deep into a sci-fi fantasy. It’s the best of both worlds. Through it all, Raiku’s love and respect for life and its creatures seep through every panel, even in the wild, brutal fight scenes! Battles which, in contrast to some goofy and charming character designs, are illustrated meticulously. I catch myself re-reading the volumes often, for the ridiculous jokes and the incredible heart. It’s a story that takes my favorite things about the medium as a whole and presents it in 14 volumes. 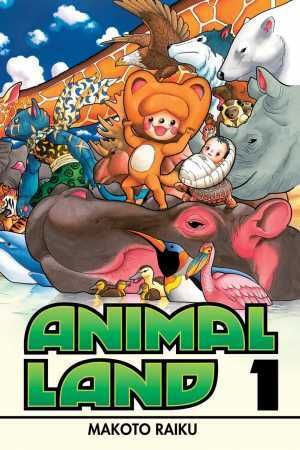 Animal Land volumes 1-11 are available from Kodansha Comics! When I was a kid my father had a theory that every major machine was secretly made up of a workforce of “Little Guys”—an acting troupe in the television, a full scriptorium of monks in the copier, even a little guy scribbling furiously (and backwards!) on the inside of your computer monitor. Cells at Work! takes it one step further—what if you too were made up of little guys? Akane Shimizu imagines literally every human cell as a little guy, each with their own personality ranging from furious to adorable. Follow Red Blood Cell, our cute, cheerful little-guy protagonist, on her oxygen-delivering duties and meet the valiant and vaguely sociopathic White Blood Cells, the bloodthirsty bros of the Killer T Cells, the elegant but vicious Macrophage, and the industrious little Platelet construction crew. You’ll learn your body isn’t a temple; it’s a fully functioning society, and you’ll be astounded how hard its residents work for you. So maybe go eat a salad today, or something. Cells at Work! 1 is available from Kodansha Comics! Even those unfamiliar with manga may have heard of the smash hit Attack on Titan, but this is something fresh for newcomers and AoT veteran fans alike. The Attack on Titan Anthology adds new chapters in the dystopian universe of the series— created by some of the biggest names in Western comics! The diversity of artistic voices on display here, from Scott Snyder to the team behind the new Batgirl, the Anthology is an amazing look at how many stories are still left to tell in the Attack on Titan world. And in a full color hardcover, this makes a special gift both for the comics fans and the AoT fan who has everything! 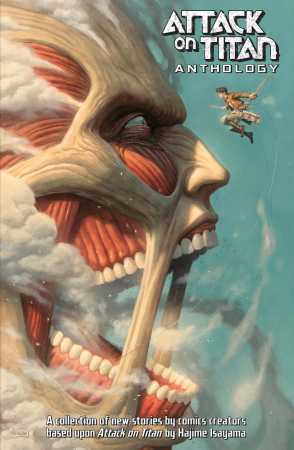 The Attack on Titan Anthology—plus three variant covers—is available now! Vinland Saga is many things. It’s an adventure saga full of bloody Viking battles. It’s serious historical fiction based on meticulous research. It’s a political thriller rife with court rivalries and reversals in fortune. It’s a coming-of-age story (two coming-of-age stories, really) that explores the complex relationship of sons to fathers and father figures in a fashion reminiscent of Shakespeare and Dickens. It’s a philosophical treatise on the nature of freedom, slavery, violence, vengeance, and love. And it’s a by-turns stark and lushly detailed visual masterpiece that deserves a place alongside cinematic epics like Lawrence of Arabia. No list of essential comics in any language is complete without it. 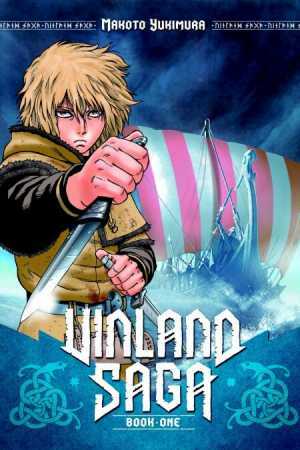 Vinland Saga volumes 1-7 are available from Kodansha Comics in beautiful hardcover, with volume 8 coming in December! What I love the most about Attack on Titan is its characters, and Spoof on Titan is a great way to enjoy cuter, smaller versions of them all in a laid back, comedic setting. Spoof on Titan has all the fun of the Attack on Titan universe, minus the soul-crushing heartbreak and emotional devastation of losing your favorite character. If you ever wanted to know what sort of hijinks Eren and the rest of the Survey Corps get into, how Commander Erwin spends his days off, or are just in need of a really good laugh, this spin-off’s for you. 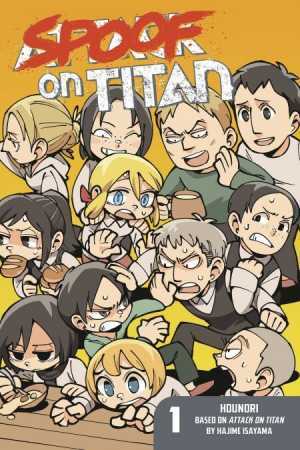 Spoof on Titan is complete in 2 volumes and available now! When I read the first volume of Forget Me Not, I wasn’t sure a story about a guy fumbling through relationship after relationship with beautiful women would grip me, but the series has become my personal favorite this year. It elegantly and deftly nails the awkwardness and pain that comes with the struggle to form genuine connections. Beyond the flawed but empathetic hero, Serizawa, every girlfriend and friend has their own relatable motivations and problems to navigate. I’ve simply never seen so many complexities of growing up handled so well, from recognizing the line between helping others and selfishly assuaging your own guilt to dealing with adult intimacy. Come for the romance, stay for the realness! 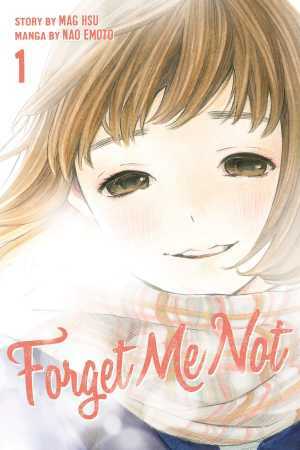 Forget Me Not volumes 1-6 availalble from Kodansha Comics! And that’s all there is to reading like a pro! But what if you already have a long-time, seasoned fan on your list? Look out next week for the best titles to get a classic lover or manga collector.